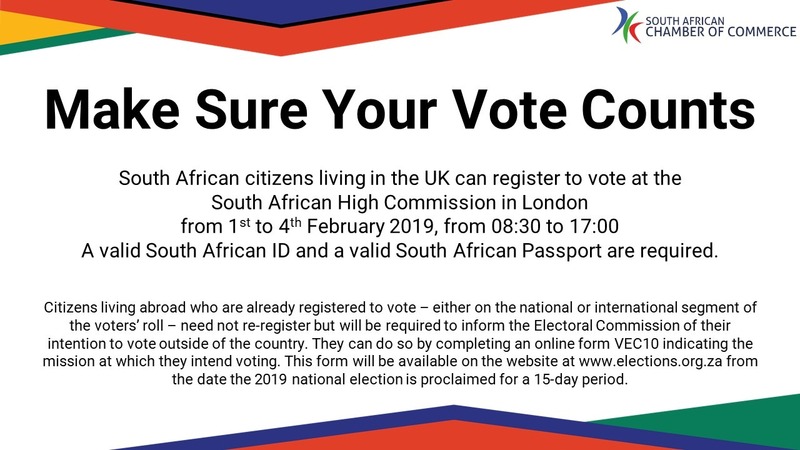 South African citizens living in the UK can register to vote at the South African High Commission in London from 1st to 4th February 2019, from 08:30 to 17:00. 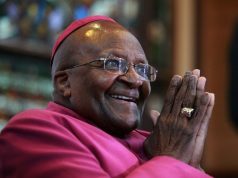 A valid South African ID and a valid South African Passport are required. 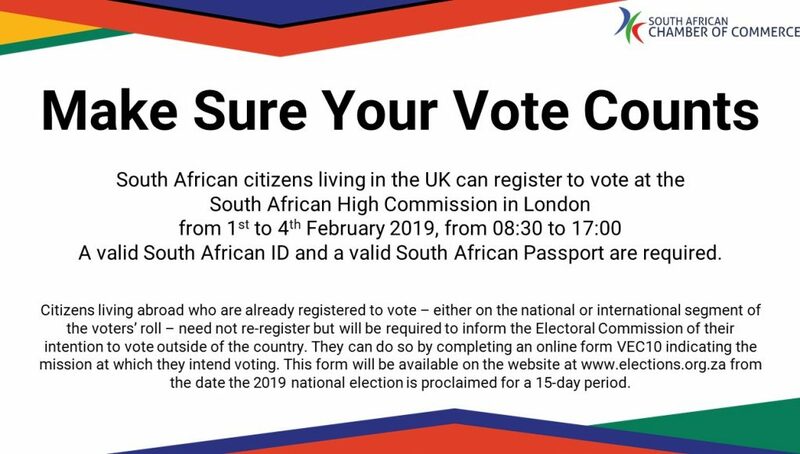 Citizens living abroad who are already registered to vote – either on the national or international segment of the voters’ roll – need not re-register but will be required to inform the Electoral Commission of their intention to vote outside of the country. You can check if you’re registered by entering your ID no. here. They can do so by completing an online form VEC10 indicating the mission at which they intend voting. 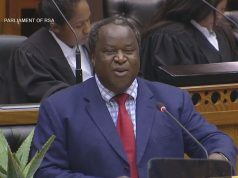 This form will be available on the website at www.elections.org.za from the date the 2019 national election is proclaimed for a 15-day period.